The benefits of reading to children are pretty much endless. There is now loads and loads of evidence that reading to our children is the very best thing we can do to build the foundations for learning to read and for success at school. 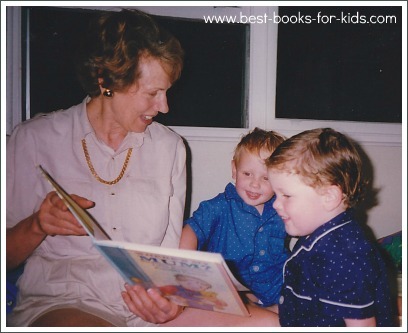 My mother reading to my boys when they were small. 1. Reading to your child is a lovely bonding experience. Babies and young children love snuggling up with a parent or other special adult to listen to a story. It builds a closer relationship between the two and creates wonderful memories. 2. Reading wonderful stories, poems, fairy tales and nursery rhymes exposes children to language they wouldn't otherwise hear. This language is different to the language we use in everyday conversation. It's richer and more diverse, sometimes old-fashioned and builds their vocabulary. 3. Reading helps develop phonological awareness, a skill that's important for learning to read later on. 4. Hearing wonderful stories and poems inspires a child's imagination. 5. 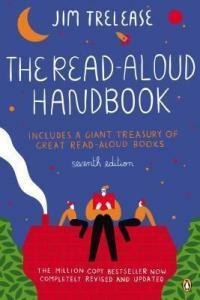 Being read to helps build background knowledge. This is important because there is clear evidence that the wider a child's knowledge of the world around him when he starts school, the better he will do. 6. Hearing stories builds empathy which is important for the development of healthy relationships. This happens because children identify with the characters in the stories they hear which prompts them to think about how other people feel and think. 7. Reading to children encourages a love of books and reading which will give them a head-start when they start learning to read independently. This means they are more likely to become competent and enthusiastic readers which is important because reading is fundamental to success at school at all levels and in all subjects. 8. 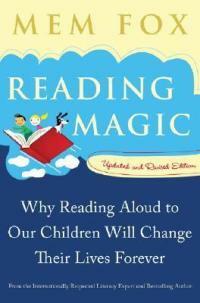 Being read to increases a child's concentration span. If you start with short books and poems when your baby is young and build up to longer stories as he grows, he'll learn to sit still and focus for longer periods. There is evidence that TV and electronic games are preventing children from developing this ability yet it's crucial for their success at school. 9. Reading to babies builds brain connections in a way that watching TV, for example, does not. 10. Reading to children after they've learnt to read independently enables them to hear richer stories that may be beyond their ability to read on their own. 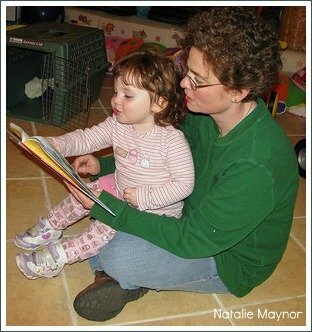 So there you have it: my Top 10 Benefits of Reading to Children! Callaghan, G; & Madelaine, A. (2012). Levelling the playing field for kindergarten entry: Research Implications for preschool early literacy instruction.